Brent purchased a Xisico XS28M from Archer Airguns recently. As an experienced firearms shooter with his first “magnum” spring-powered air rifle, he faced a learning curve (finding the best hold and pellets) on shooting his air new air rifle successfully. This blog post lists the emails we exchanged during his journey to mastery of the XS28M. This is not an untypical experience for anyone new to big, powerful spring/piston air rifles (not just the XS28M), but please note as that every individual airgun has it’s own pellet preferences, the one that worked well with Brent’s gun may not work with another - and pellet’s that didn’t work well for him may work very well for another gun. Do you have any suggestions for "the" pellet for my new XS28M???? Purchased the Stoeger sample pack and none of those are close. 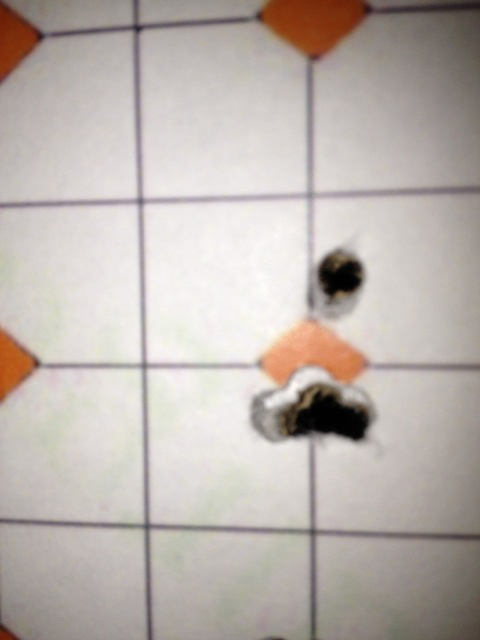 Crosman Premier hp 7.9 gr are climbing low to high shot at 10yds and then out to 30 by about 5 inches. I know some of it is me as I learn to handle the gun but dang, this is frustrating as hell. Suggestions???? We test the XS28M using Stoeger X-Field pellets and have good success with them, although our tester is very experienced at shooting high power spring/piston air rifles and can tame the recoil consistently. Also every gun is different, as you know, and will like it's own particular pellets. I'd certainly be looking for domed pellets, probably mid weight, as you are trying. One suggestion is to make an internet search for the "best" pellets people find in the Ruger Air Magnum. 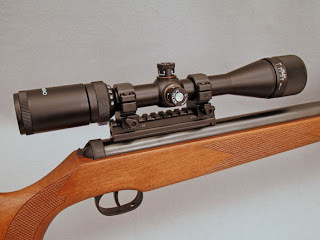 This is a very similar air rifle to the XS28M and you may find some good suggestions there. I hope this helps. Please let me know how you make out. Yes sir, have tried that primarily after watching your video. I can flat tell you it does not like being shot of my lead bags! LOL. I tend to be heavy handed so I am concentrating on learning to go light. I do understand that taming the recoil is a lot of it with this magnum springer and learning the hold it wants is what I am working on. I am experienced in centerfire and have considerable trigger time with those. I have a 22-250 I did some work on and I can consistently hold <1" groups at 300yds with it and the barrel I turned and made into a .17 Ackley Hornet will always do .275-.325 at 100 yds. I remove the the stock and checked to see if anything was apparently loose or mis-aligned. I have cleaned the barrel twice now and have about 350 rounds down the tube and can manage about a 3/8 group…at times at 10 yds. I move out to 25yds and it's all over the place. I kid you not, with the Steoger x-magnums it will throw a pattern 3 feet wide…at times. Seems to be a huge variation in pellet choice with this gun. Crosman Premier hp I have to adjust windage almost all the way left to hit and if I change over to the Stogers I have to adjust way right and then it is inconsistent too. Nothing seems to pattern with any consistency. One other thought. If you are using a scope, have you checked the 3 screws that hold the scope rail on the compression tube? It's possible these can work loose. If they have that would obviously cause a problem. A drop of Loctite Blue on the threads should stop that. Wasn't anything loose. I revisited the copper coated 10.19gr x-power pellets while ago and with the learning how to hold the rifle to tame the recoil I think I am now on the right track. I used my bags and corrected the parallax for 10 yds where I knew for certain I had it out and then shot off hand with the hold you recommend and managed 3 groups under .300. I then again used my bags and corrected parallax at 25 yds and shooting again off hand I managed 2 groups under 5/8ths. I marked my AO ring as the factory marking are incorrect by about 7 yds ea. For me, I find that the artillery hold and not wrapping my thumb around the grip but rather lying it along the side really tightened things up. I very well could be on my way to figuring this thing out. If I could hold the heavy thing steadier I would do better!! I'm only 5' 5" so it's dang near as big as me LOL. If I do my part, it'll do it. Looks like 4 but it's 5. Shot at 25yds, averaged 1082fps measured 3 ft from muzzle, sub 1/2" group with H&N Crow Magnum 9.26gr. I shot several of these like this this morning with 5-10 mph winds crossing left to right. I have one 10 shot group that is a touch under 5/8th's. Best pellet I have found for it thus far. I did ever so lightly chamfer the breech, just enough to break the sharp edge over and then polished with a brass round head screw and jb's bore paste. Other than that, bone stock as you sent it to me. I have about 600 rounds down the tube now and am getting comfortable with it. Here’s Brent’s 25 yard 5 shot target. Success! Brent, congratulations for your persistence and determination!!! I am still searching for magic pellet at 50, when I find it I'll let you know. What I did Stephen is purchase one of Straight Shooters .177 big sample kits and worked my way through them shooting 5 shot groups at 10 and 25 yds without changing anything…aim point, windage or elevation on the scope, magnification. I tried to keep everything as close to the same as possible for each. Once I had my top 3 I did it again and that gave me my top 2. The crowmag is the best overall for anything out to 25 and the 9.3 RWS supermag wins at 10yds for punching paper. I just couldn't get the Stoegers to group as tight for me… Still could be me though. I may order some more of the copper plated 10.19's to try again though where I have more of them to play with. Brent, thanks for recording your journey and for being prepared to share it with others!